On January 29, at the RIC-EU members meeting PPM has signed the Collaboration Agreement released a significant part of its FlexGui 4.0 software package as open-source. The flexible and easy-to-configure interface is now part of the ROS-Industrial project. FlexGui allows control of wide range of platforms supported by ROS. The members meeting took place at the Fraunhofer IPA in Stuttgart, Germany. At the event, PPM’s Managing Director Trygve Thomessen and Senior FlexGui Developer Laszlo Nagy presented considerable advantages of FlexGui 4.0, which is expected to be the new Industry 4.0 standard GUI for factories, robots and automation devices. 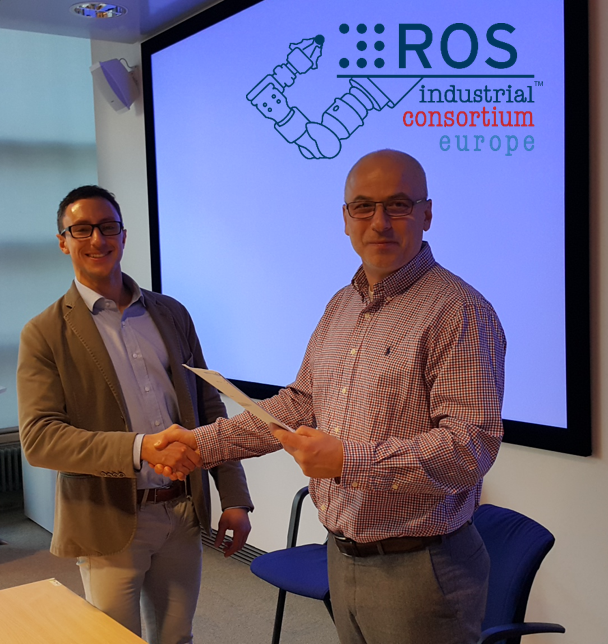 PPM and ROS Industrial Consortium Europe are looking forward to their collaboration which aims to develop state-of-the-art GUI for industrial robots and factory automation towards Industry 4.0.